L. Myles Smith & Company PC is a full-service accounting and consulting firm serving clients throughout Oklahoma and surrounding states. We are dedicated to providing our clients with personalized services and guidance in a wide range of financial and business needs. Mission statement: Tailoring our services to exceed expectations. Purpose: Our purpose is to help clients maintain financial viability in the present while taking a proactive approach to achieve future goals. We achieve these goals through open communication, research and sound analysis. We are dedicated to meeting these goals with a high standard of excellence and professionalism. Goal: A high quality of life for you, your family and the community. Myles Smith graduated from Central State University (University of Central Oklahoma) and started the firm in 1978. He was a member of the AICPA and OSCPA. Myles’ many years of experience helped clients in multiple industries providing priceless service to our clients. 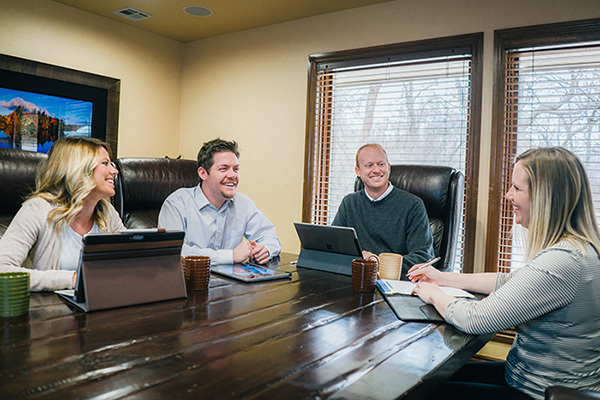 Myles’ emphasis on technology continues to keep the firm and our clients on the leading edge. Throughout his career he served on community and collegiate advisory boards and served as a founding member of the Cloud9 Real Time Advisory board.